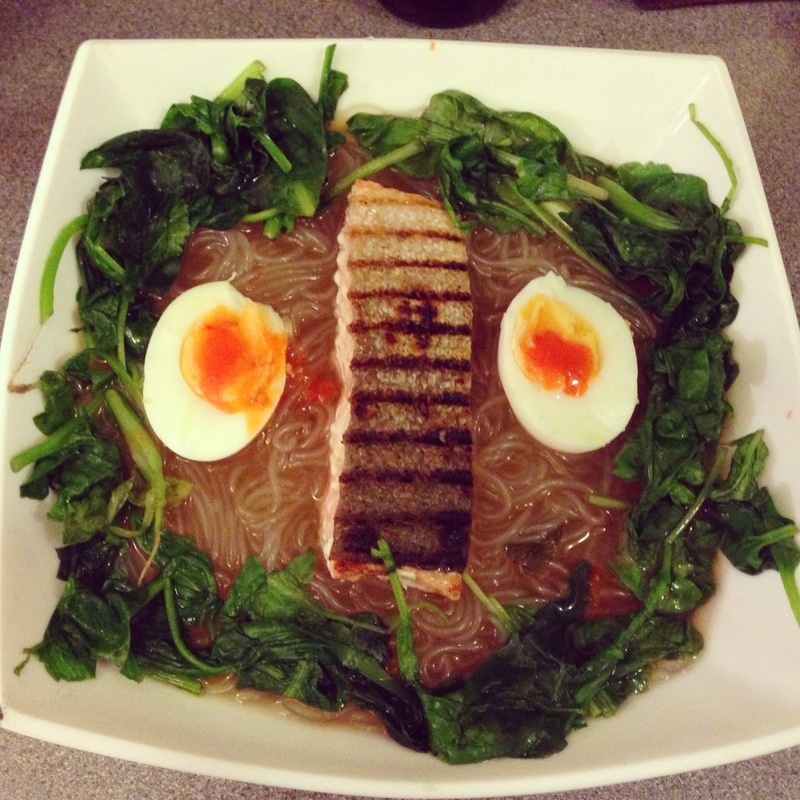 I <3 Ramen, in the words of a good friend of mine Tom (usually about my female friends though) it’s bloody lovely! I always boil the stock in a saucepan and then add the rest, but as I write this I realise I’m probably making more work/washing up for myself, so doing it in the measuring jug you make the stock up in is fine. Then you can pimp up your base with whatever you have hanging around/fancy. This one I made for my friend Alex a couple of weeks ago. I used glass noodles (made of sweet potato starch, so carb free dontcha know), chargrilled pork belly, a soft boiled duck egg (about 7 mins), pak choi and spring onions. I will be using this combo of ingredients again cos it was de-lish. This was one I whipped up as a cheeky little meal for one last month. I’m very glad there was no-one there to witness the absolute devastation I caused in my kitchen whilst making this, severely hungover, but it was pretty impressive. 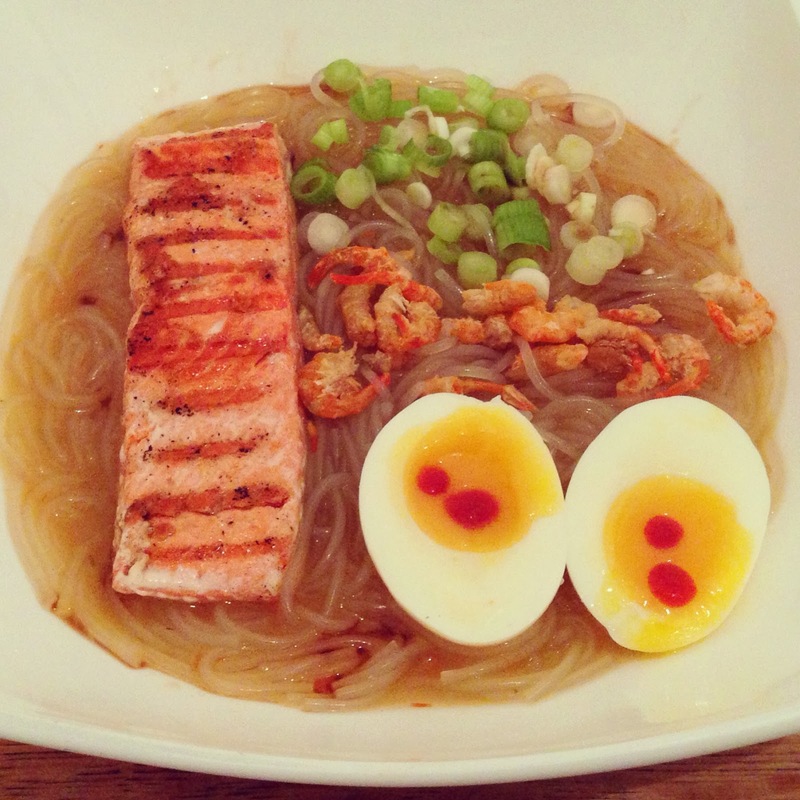 Glass noodles, organic salmon fillet, spring onions, dried shrimp and another soft boiled duck egg. 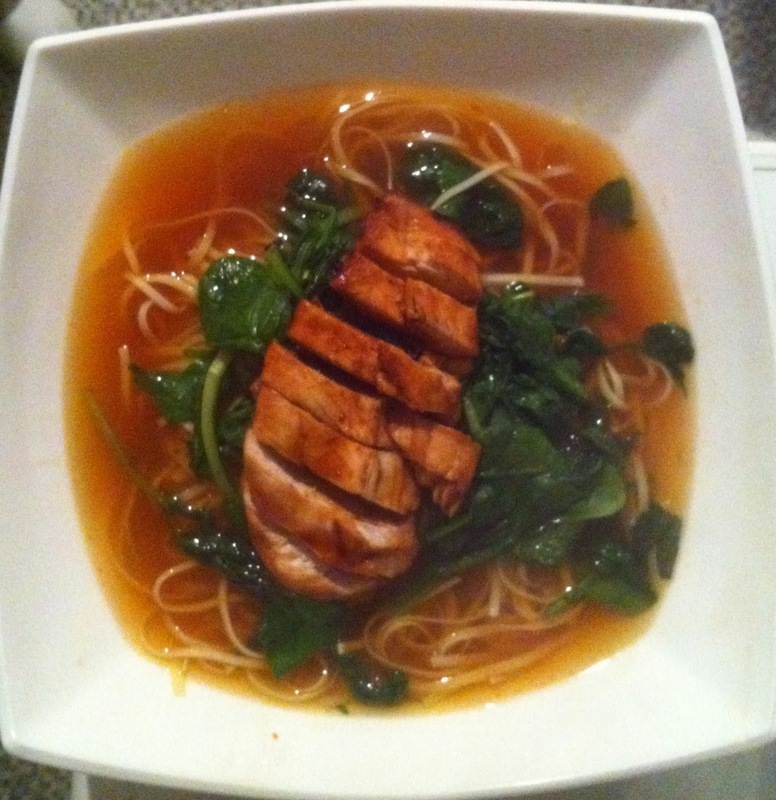 This one was my least favourite of the bunch (and my ex boyfriend’s favourite), a grilled chicken breast which I brushed with a mix of rice wine, soy and brown sugar, mixed Asian greens and egg noodles. It’s nice, I just wouldn’t rush to have it again. This one is simple but effective (rather like myself): chargrilled salmon fillet, glass noodles, mixed greens and another duck egg. I’ve made this one again and again and will continue to do so. Some of you may recognise this from my Instagram tonight. It’s for all you vegetarians out there. Vegetable wontons from the freezer section of any good Oriental supermarket*, those noodles again, spring onions, a red chilli, and yes, you guessed it, another soft boiled duck egg. *Brightonians or visitors to Brighton: the Oriental supermarket on Sydney Street in the North Laine is incredible. It has freezers stuffed full of lovely dim sum and wontons, shelves of every sauce, spice or paste you could want or need and lots of lovely fresh produce as well. Upstairs is a sushi and noodle bar: E-kagen which is amazing as well. Go go go! 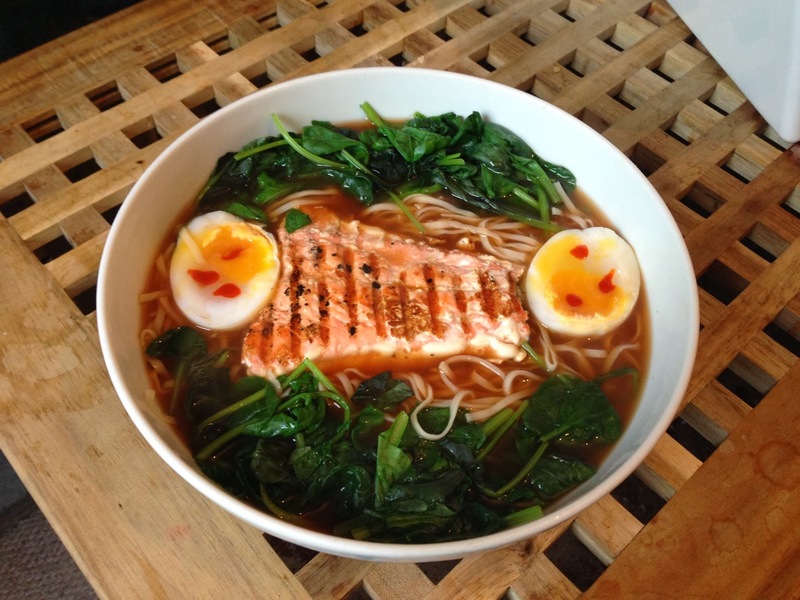 What’s your favourite things to add to Ramen when you make it? 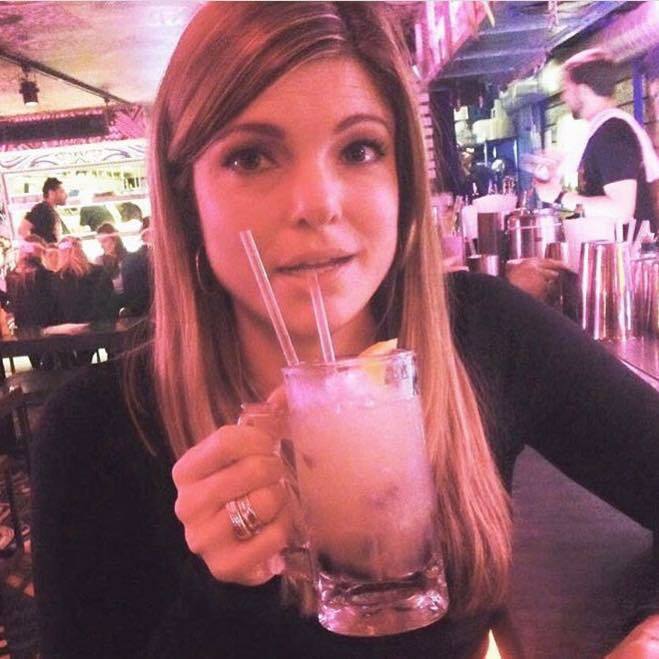 Where do you go out to eat it? Tweet me or comment below- would love to hear your recommendations.